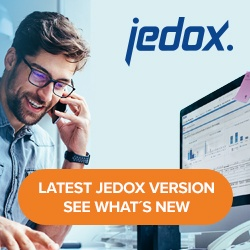 Estimating the memory requirements of a Jedox In-Memory Database depends on several factors, but as a general rule, the data storage needs approximately 10-16 bytes in RAM for a numeric cube cell. Note that more bytes might be needed for large models. Only filled cells are stored in memory. Note that in productive use, more available memory will typically be required (e.g. caches for query and rule processing, data consistency management, or session handling). Generally, the factor 2.5 can be used to estimate memory requirements for a given size of storage data. The “bytes per cell” value for GPU memory differs from its CPU counterpart. At least 16 bytes are needed for each value. For large models (number or size of dimensions), more 8 byte blocks might be needed, but typically 24 or 32 bytes are sufficient. GPU memory consumption is independent of data density and value format. Factor 2.5 should also be applied in order to estimate the available memory required.